Fred M. Heiser is Shareholder in Klinedinst PC’s Los Angeles and Orange County offices and is a Member of the firm’s Business and Commercial Litigation, Commercial General Liability, and Employment Practice Groups. His clients include local entrepreneurs, small family businesses, and Fortune 500 companies. Mr. Heiser is regularly called on by general counsel, business owners, and claims representatives to protect their interests and to provide hands-on, strategic, and efficient direction for complex civil cases. He has found success in retail defense, business litigation, employment law, and general liability matters. Handling every case with great personal attention, Mr. Heiser provides legal counsel that is tailored to meet the specific needs and priorities of each client. His clients consistently rely on him to accurately gauge and limit any potential exposure, and to proactively maximize their potential for success. He has litigated hundreds of cases to completion and has successfully handled jury trials, dispositive motions, and mediations to achieve results for his clients inside and outside the courtroom. In addition to litigation, Mr. Heiser partners with companies to strategically develop policies and procedures to minimize their liability risks. As a member of the USLAW Network, Defense Research Institute (DRI), and Claims and Litigation Management Alliance (CLM), Mr. Heiser advises industry leaders on a broad range of legal topics. He often serves as a featured speaker at retail and hospitality conferences across the country, and has spoken at DRI’s National Retail and Hospitality Litigation and Claims Management Seminar (“Best Practices: Preparing For and Responding to Premises Liability Claims”), USLAW Network’s Spring Client Conference (“Initial Case Assessments and Evaluations: What Does the Retail Client Want to Know and When?”), and USLAW Network’s “LawMobile” event (“A Retailer’s Guide to Addressing and Avoiding the Spoliation Nightmare”). 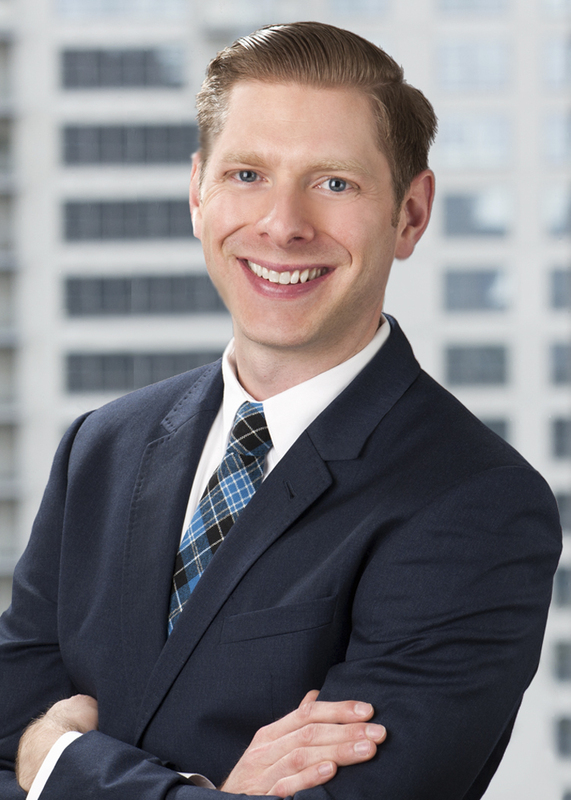 Mr. Heiser was designated a Rising Star by Super Lawyers® in 2013 and 2014. When not helping clients with their legal needs, Mr. Heiser is active in the community. In 2014, he was elected to serve on the Board of Directors for the Opera League of Los Angeles, becoming one of the youngest members to serve on the Board. He is also a former President of Washington and Lee University’s Los Angeles Alumni Chapter and remains an active member of the Chapter in Los Angeles and Orange County. Defended business client at trial in a premises liability case. The plaintiff refused to discuss settlement and insisted on going to trial. Mr. Heiser accurately assessed his client’s potential exposure and the plaintiff ultimately relinquished all of his claims against Mr. Heiser’s client in exchange for a waiver of costs after the jury returned a verdict below Mr. Heiser’s strategically set statutory 998 offer to compromise–which entitled Mr. Heiser’s client to recoup significant fees and expenses against the plaintiff. Represented Fortune 500 Company at trial in personal injury case. Demand going into trial was $500,000. A mistrial was declared for opposing counsel’s misconduct. Interviews with the released jurors confirmed that Mr. Heiser’s client was doing very well in the trial. Plaintiff and his counsel agreed to dismiss the case in exchange for a waiver of costs and any sanctions. Defended a premises liability case on behalf of a prominent Los Angeles business and real estate owner. Plaintiff sought damages against Mr. Heiser’s client for injuries stemming from a slip and fall accident. Mr. Heiser obtained summary judgment after establishing his client’s lack of actual or constructive notice of a dangerous condition. The costs and expenses associated with trial were avoided. Represented client in premises liability case. Mediation highlighting the client’s lack of notice of a purported dangerous condition, along with pending summary-judgment motion detailing these arguments led to nominal settlement of case. Defended client in high-stakes personal injury case. Plaintiff lost his right eye after being hit by a Roman candle firework and sought significant recovery against Mr. Heiser’s client. Plaintiff quickly settled his case after Mr. Heiser filed a brief that established a total defense for his client. Successfully compelled arbitration in labor and employment case involving a former employee’s claims of sexual harassment, discrimination, and wrongful termination against corporate client. Ruling led to abrupt and favorable settlement. Defended high-profile personal trainer client and his gym against a plaintiff’s claim that she sustained various injuries in one of her training sessions. Mr. Heiser’s summary-judgment motion, based on plaintiff’s primary assumption of risk and execution of a liability release, led to a swift, nominal settlement and eliminated the client’s potential exposure in the earlier stage of litigation.